Between 1957 and 1962, the Gibson humbucker that was designed by Seth Lover was labeled with the letters "PAF" for Patent Applied For. 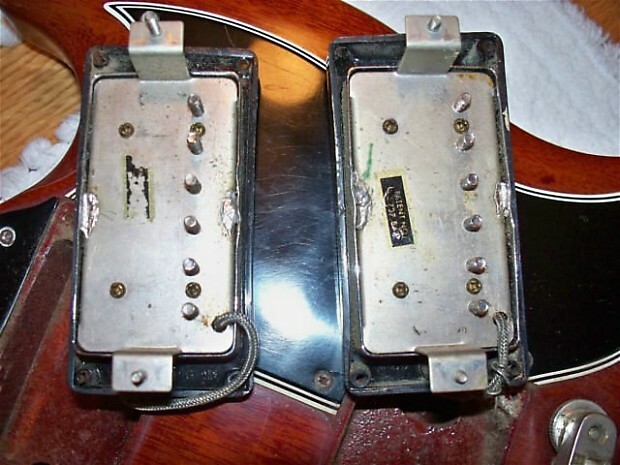 Starting in 1962 when the patent for the humbucker was granted, the pickups were instead labeled "Patent Number 2,737,842." At some point after 1965, Gibson started using a machine to wrap the wiring on the coils, so humbuckers from 1963 were still handwound.